This is the original bar graph. This graph is the same information represently solely with CSS and HTML. 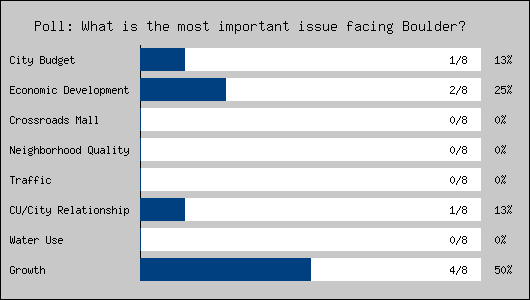 What is the most important issue facing Boulder? Note: This is an utterly unscientific poll and reflects only the opinions of people visiting this site. No one should draw any conclusion from the results.